I have two 30 rd Orlite magazines and will configure in a few ways. I will trade both and load one with 30 rds of brass for one Pmag or EMA / CAA Magazine. 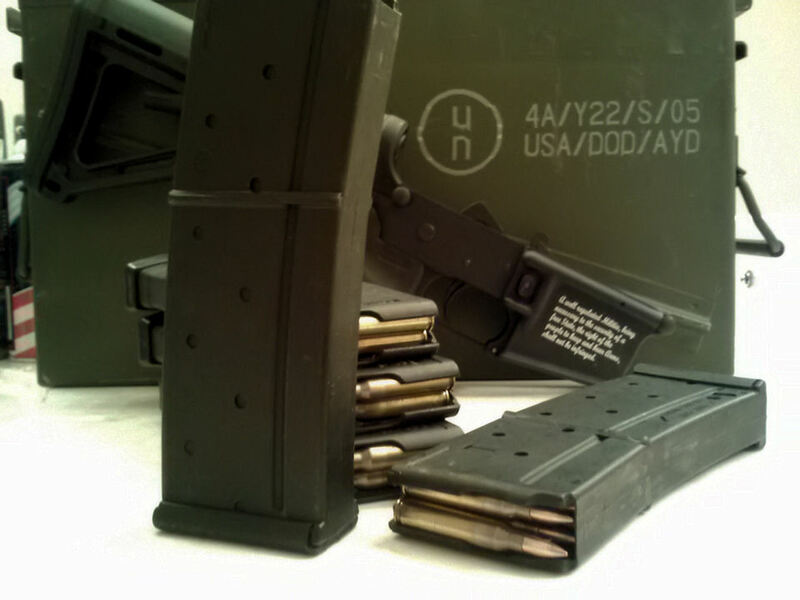 I will trade both and load both with 60 rds of brass for two Pmag or EMA / CAA Magazines. I will sell both empty for $50 shipped. I will sell both loaded with 60 rds of brass ammo for $85 shipped. I will not ship to a state that it is illegal in. Please post which config you want and IM me.